This mesh bbq scrubber grill brush is a safer alternative for cleaning grill grates. Replaceable stainless steel mesh scrubbing pad extends the life of your brush, renewing the brush cleaning power when you need it! Maintain your outdoor grill with the Charcoal Companion Single Head Scrubber Grill Brush With Scraper. Long, sturdy plastic handle keeps you away from the dirty grill. Use for all grill types .safe for porcelain grills. Handle has hole for hanging to carry convenience! Looking for ideal Bbq Grill Mesh Cleaning Brush Manufacturer & supplier ? We have a wide selection at great prices to help you get creative. 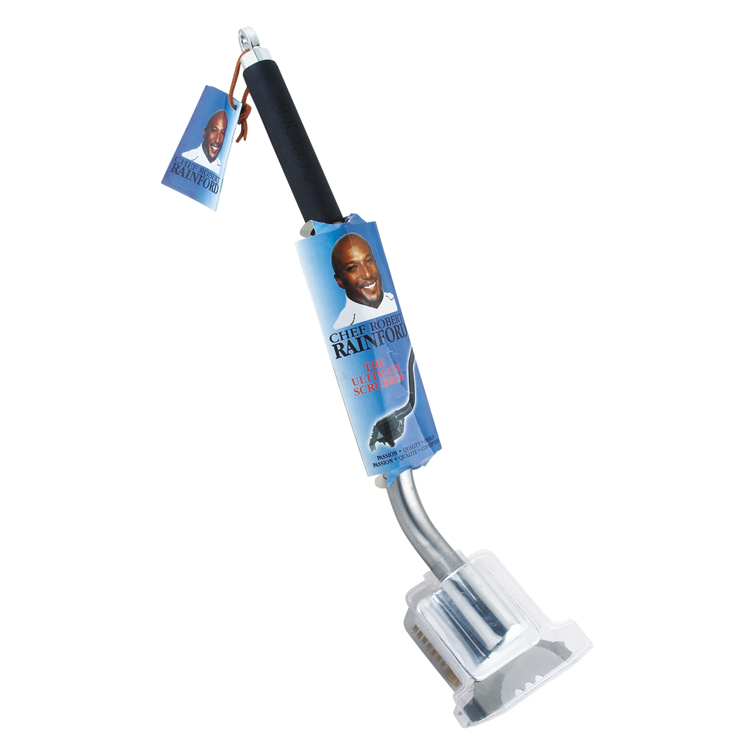 All the Barbeque Grill Cleaning Scrubber are quality guaranteed. We are China Origin Factory of Ultimate Bbq Grill Cleaning. If you have any question, please feel free to contact us.